Best online reviews of any local roofer! 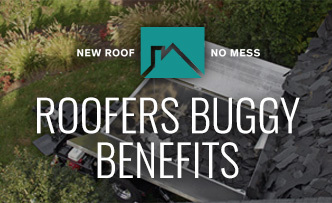 Over time, the elements will take their toll on any roof. Paying attention to these danger signals of a failing roof may protect your wallet as well as your home. 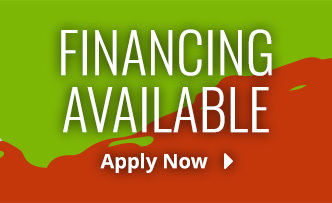 At Mid-Shore Exteriors we know that your roof is a serious investment. Now you can sleep easier knowing that you have protected the roof that protects your family. A quality roof is your homes first line of defense against damaging weather. At Mid-Shore Exteriors you are covered under both the BEST manufacture warranties in the business as well as our own warranty/guarantee. 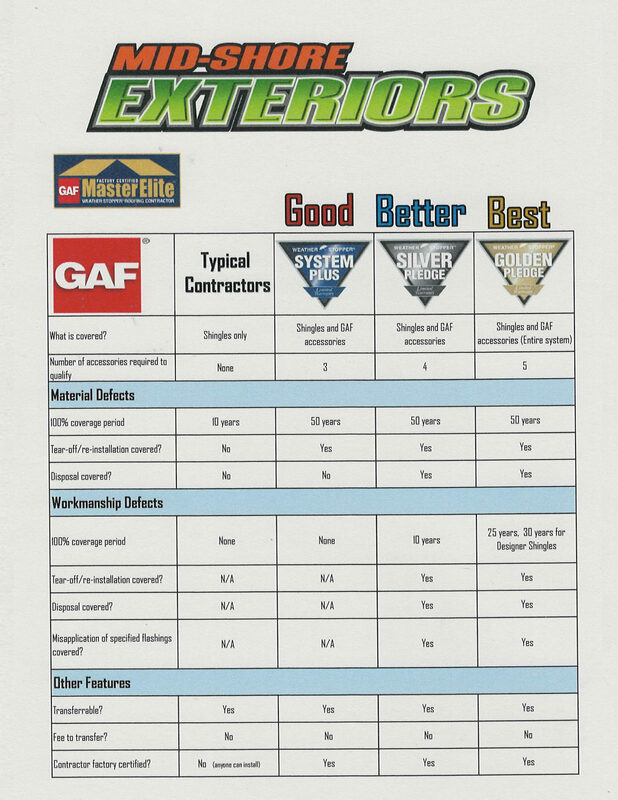 Mid-Shore Exteriors has achieved the exclusive status of a GAF MASTER ELITE ROOFING contractor which is North Americas Largest Roofing Manufacturer. Only 2% of roofing contractors in North America have achieved Master Elite status! 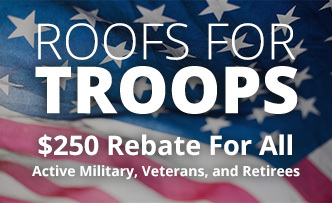 Based on our uncompromising commitment to the highest standards in sales, services, and installation, we have pledged to ensure that each customer receives their “Best Choice” in roofing and are authorized to offer the Weather Stopper Golden Pledge warranty, Silver Pledge warranty, and Systems Plus warranty. 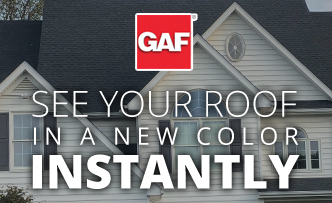 Our best warranty gives you a Non-Prorated 100% coverage for 50 years and workmanship warranty backed by GAF for 25-30 years. We value each and every one of our customers and that is why we use only the best roofing materials on your home. We stand by our materials, our people, and our roofs, therefore we know you will be satisfied. Contact us today to take advantage of our residential roofing services. "Thank you so much for taking care of my roof as well as my neighbors! We are very grateful for your help!"